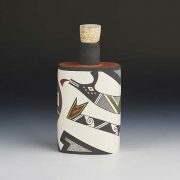 This is a very cool, lidded rectangular “box” by Charmae. 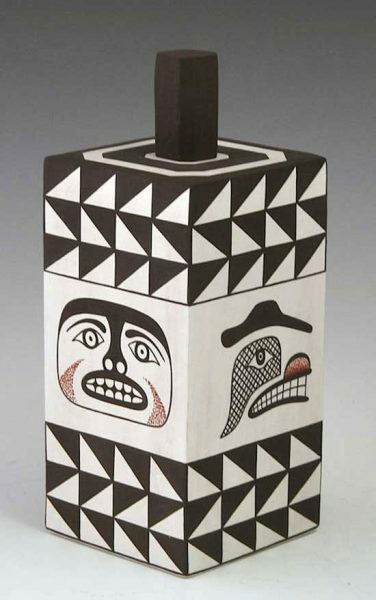 This is the second Northwest Coast piece we have had from her. It is bold and striking in its presence. This piece shows her skills in painting both polychrome combinations, as well and black and white fine line work. 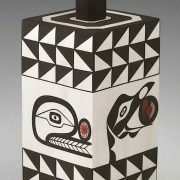 She boils all her colors from natural plants and vegetation and then paints her designs. 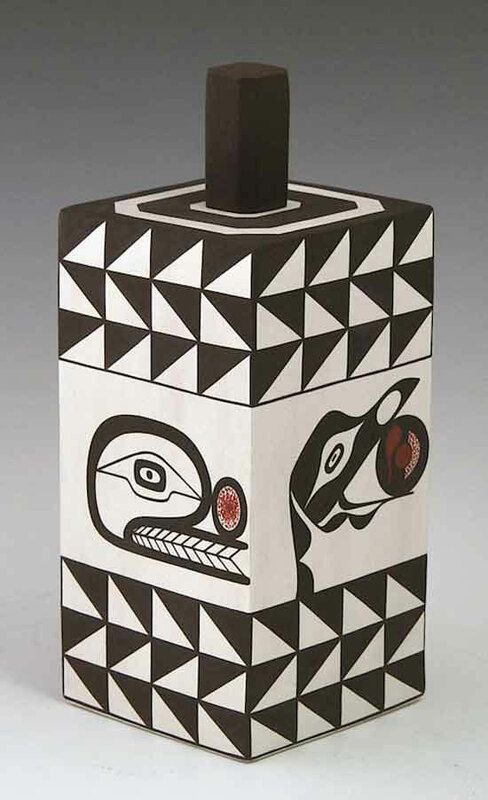 The four Northwest Coast depictions of birds and animals are unique and creative. 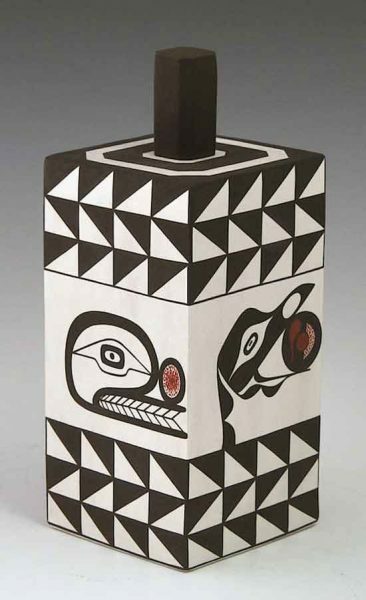 Even the black and white painting on the top around the black lid fits the design theme work so nicely. 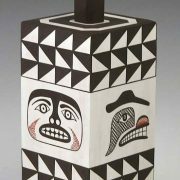 Charmae comes from a distinguished family of Acoma potters, and learned the art from her mother, Ethel Shields, who also makes storyteller figures. 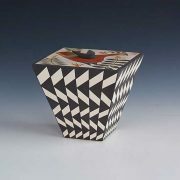 Charmae is known for her seed pots, immaculately designed in black and white, and also for her more unique formed pots that take the shape of pyramids, or boxes. Her painting is so precise, and crisp, that it sets her apart from other painters. She is married to Thomas Natseway, the award winning miniature artist.